One of the best way to get closer to the myths, customs and national spirit of a country is to explore it’s traditional festivals. 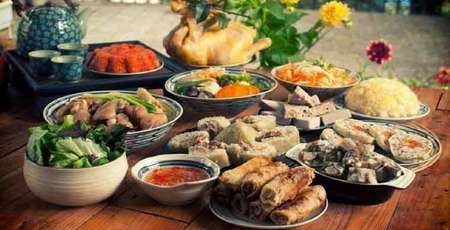 Following the Chinese lunar calendar, most of Southeast Asian country’s culture and festivals are strongly influenced by its historical past. Despite undergoing many renovation and modernization, Vietnam still remains a predominantly traditional country, with a great number of pagodas and shrines dedicated to Buddha as well as many deities and iconic figures. In this article, we included some suggestions of the best places to experience the festive atmosphere. 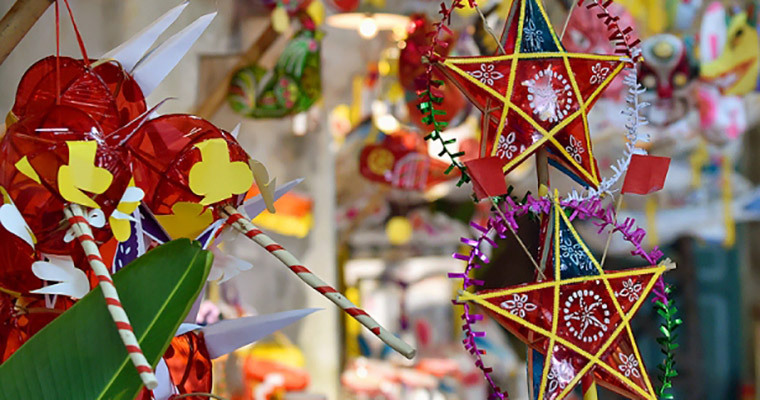 Interestingly, almost all the biggest and most important celebration in Vietnam take place in the beginning of the year which is also known as the best time to visit Vietnam. While some festival are celebrated nationwide, in some provinces offer their own series of festivals unique to the locals. Lunar New year or so called Tet Holiday is stated as the most expected festival of the year when family members return home for reunion. 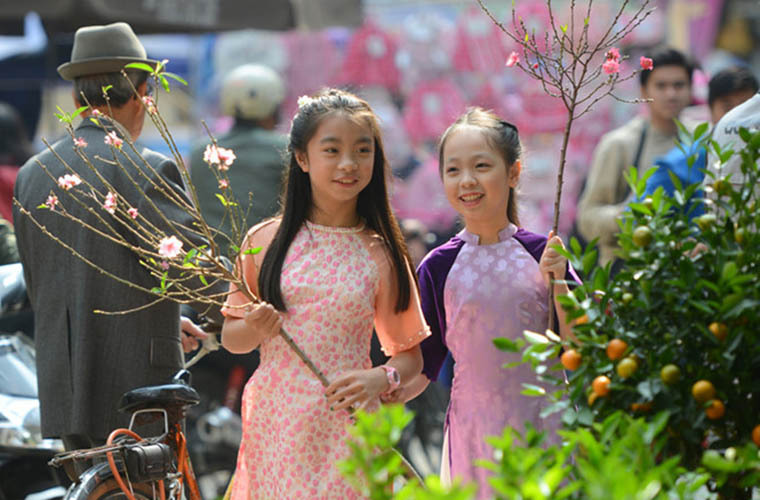 This celebration is originally celebrated by Vietnamese locals with the aim to welcome the spring and known as a ritual dated back thousands of years ago. 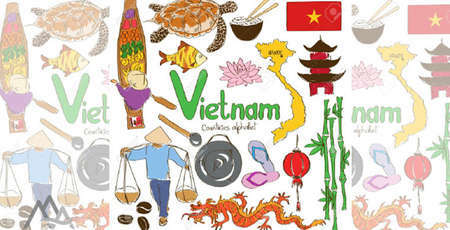 This is quite interesting time to visit and sensing the festive atmosphere of Vietnam, especially the bustling Hanoi. You can find locals lighting fireworks, visiting temples with families and fall in love with the interesting radiant colors of Vietnamese flags, lanterns and spring blossom at every corners. 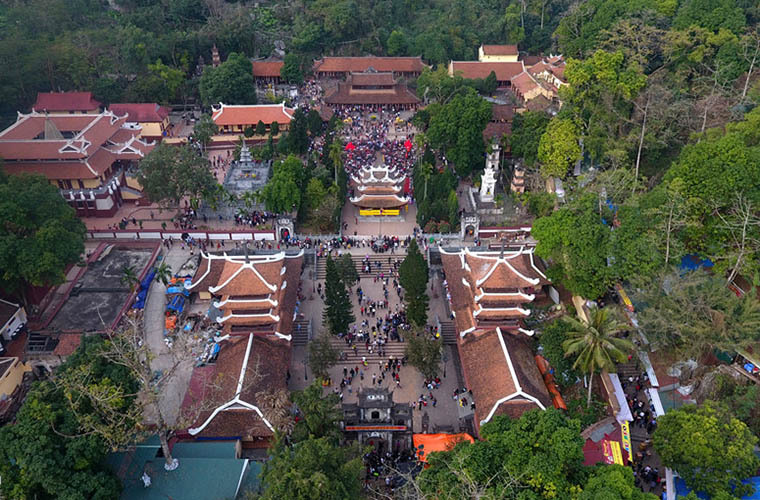 Taking place since the first day of lunar new year, lasting about three months till the end of the third lunar month, the spring festival of Bai Dinh Pagoda is the biggest Buddhist ceremony in Vietnam. 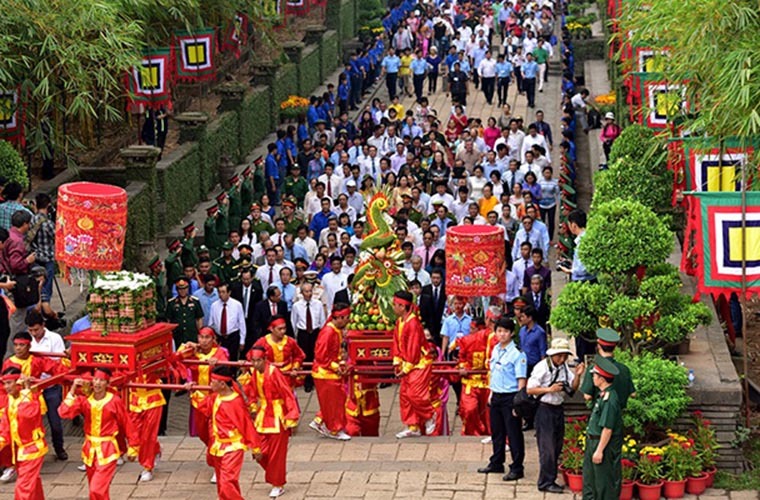 This festival is a perfect start for pilgrimages towards the imperial capital Hoa Lu, Ninh Binh province. In the festive days, there is a warm-heartedness of the young, the respect of the elderly and the joyfulness of the visitors and Buddhist followers. The groups of people crowdedly go along the hillsides, with happiness and excitement. The Perfume Pagoda is Vietnam’s most famous Buddhist pilgrimage site, welcoming hundreds of thousands of pilgrims who arrive at the sacred cave to pray for a happy and prosperous year ahead. Unlike the above festival, the Perfume Pagoda Festival takes place on the 15th day of the first lunar month. This stream of pilgrims reaches its peak at the Perfume Pagoda Festival – devotees travel through a picturesque gauntlet to the sacred caves, first boarding boats that pass a landscape of rice paddies and limestone mountains, then going by foot past historical shrines and up hundreds of stone steps. In case you are not a fan of crowded place, you can head to Perfume Pagoda in early December to contemplate in peaceful space and see fascinating waterlily flowers booming along Yen Stream. Every 14th day of the lunar month, all motorized traffic are bans, and Hoi An transforms itsel into a massive performance venue from Vietnamese contemporary arts to the heyday of ancient trading town. 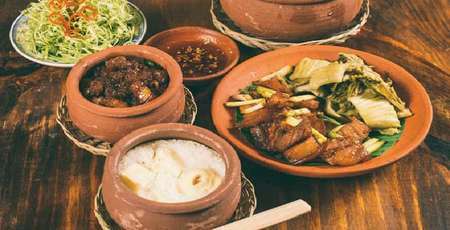 In other word, in this day, Hoi An takes visitor travel back in time to the 18th & 19th century to live again the old days. Local people hang up brightly-colored lanterns, turning the narrow ancient street into a radiant, festively illuminated lighted spectacle. Only twenty minutes driving from Hanoi, its worth you aside trip to explore a nearby town- Bac Ninh. 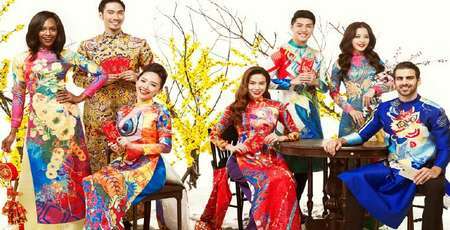 Lim festival is celebrated every 13th of the first month of lunar year in Lim hill, Bac Ninh, where visitors can fully watch the performance of “Quan họ”. 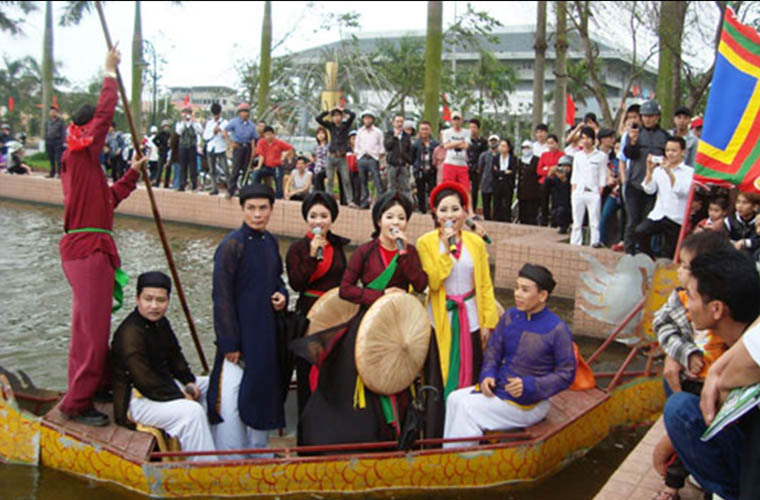 “Quan họ” is a traditional art form, performing by men and women, wearing traditional costumes and singing in a boat. The songs cover typical topic such as greetings, exchanging love sentiments and even trivial objects like village entrant. Elephant race Organized annually in March of the lunar year, the festival takes place in Buon Don or in the thin woods along the Sveve River. Before entering the race, one of the jailers and the elephant was raised, but the supervisor was in the starting position. 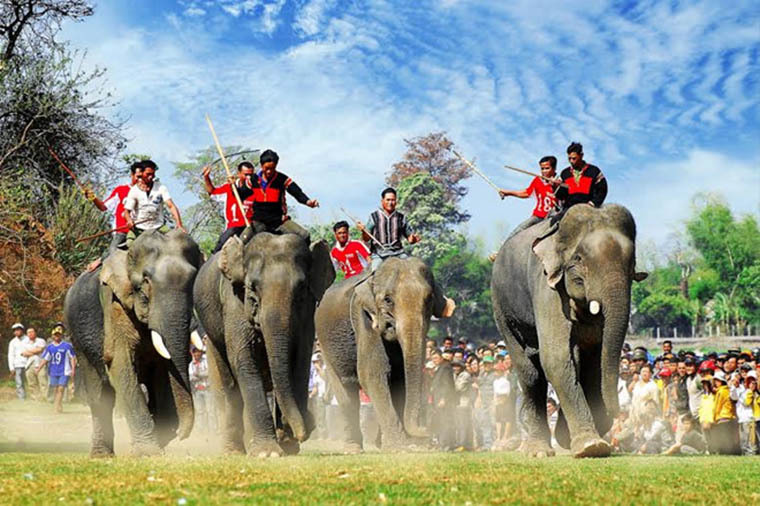 When the order comes, the elephants will compete in front of the gongs, drums, cheers cheering the mountains. Long time ago, there was a naughty boy, named Cuoi, remains lost in the heaven alongside his banyan tree due to his continuously telling a lie. Every Mid-Autumn festival, his neighbors lighted up the lanterns with the hope that the bright light would guide him the way home. Since then, the lanterns have become one of the symbols of the moon festival. Children with lanterns, masks and special costume marching around, make the streets of the cities echo with the sound of drums as dozens of lion roam around. In the present day, this festival remains as a fundamentals part in Vietnamese spiritual belief. 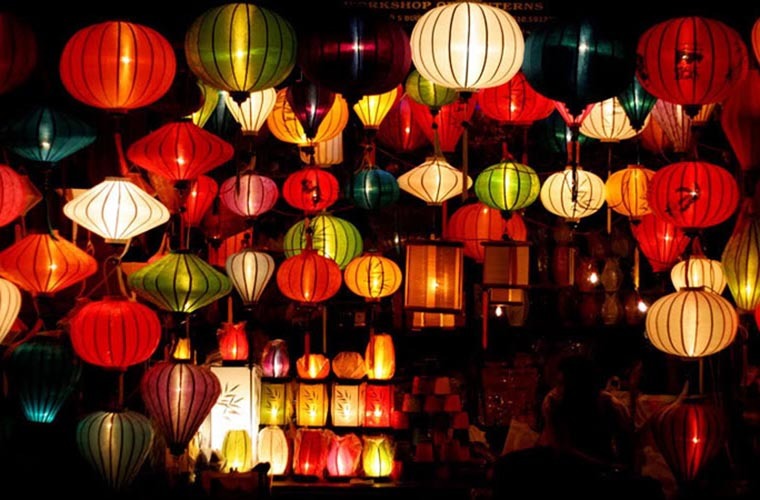 Visiting Hanoi, travelers can experience the festive spirit in the old quarter, specially, in Hang Ma Street and Dong Xuan market, where colorful lanterns and angel wings and all type of decoration are festooned.